When a tenant vacates a rented property the landlord expects the tenant to return the property in its original condition before the new tenant comes in. We carry out the end of tenancy job professionally to let the tenants return the property to landlord in good condition as expected by the landlord so that the landlord returns full deposit to the tenants. We clean your property thoroughly and make sure that we don’t miss out on anything. We guarantee that you will get back full deposit from the landlord. Cleaning and sanitising tiles, floors and kitchen appliances like washing machine, microwave and fridge. We also clean cupboard, drawers, windows, doors, storage units and other kitchen furniture thoroughly. We de-scale your bathrooms, clean the surfaces and inform you in case there is any default that our expert cleaners notice while cleaning. We also do carpet and upholstery cleaning. We also clean your windows perfectly. We clean your sofas and apply protector as well. We pay attention to our customers individually. To serve our customers better, we employ experienced and honest cleaners. We also check their background and ask for identity and address proof to ensure safety and security. Our cleaners undergo relevant training from time-to-time to know about the new technologies coming in the cleaning industry. Our cleaners are fully insured and well equipped with modern equipment and eco-friendly cleaning products. 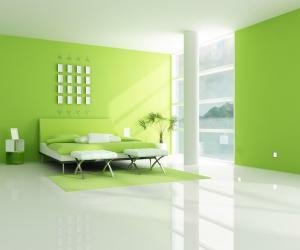 We believe in contributing to the environment and use eco-friendly products for cleaning. We understand the requirements of landlords and estate agents and work accordingly to make them happy. 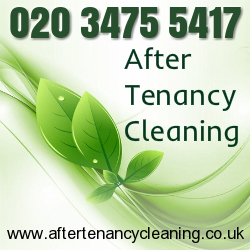 We also help the tenants reduce the stress of cleaning the property and claiming the deposit from the landlord. Making both the parties happy is our primary goal and we achieve our goal with the help of our expert, honest and reliable cleaners. You can rely on us for timely, efficient and affordable end of tenancy cleaning service. We believe in giving our customers what they need. We offer flexible payment options for our customers. We operate on 7 days a week including bank and public holidays. You can feel free to call us or mail us with your booking or queries any time during the day or night. You can also request to fix up an appointment in your convenient hours. Our company provides moving out cleaning. If you are between two renting accommodation and you need to find a company that has the moving out cleaning service, we guarantee we are the company you are looking for. We can be found in Balham and many other districts in London. Our company has made a name for itself and our reputation speaks for itself. We hire only qualified and experienced cleaners in order to attain the best service. Hire us and you will clean your entire flat and everything will be spotless. In case you have any remarks will repeat the cleaning in order for you to be satisfied.